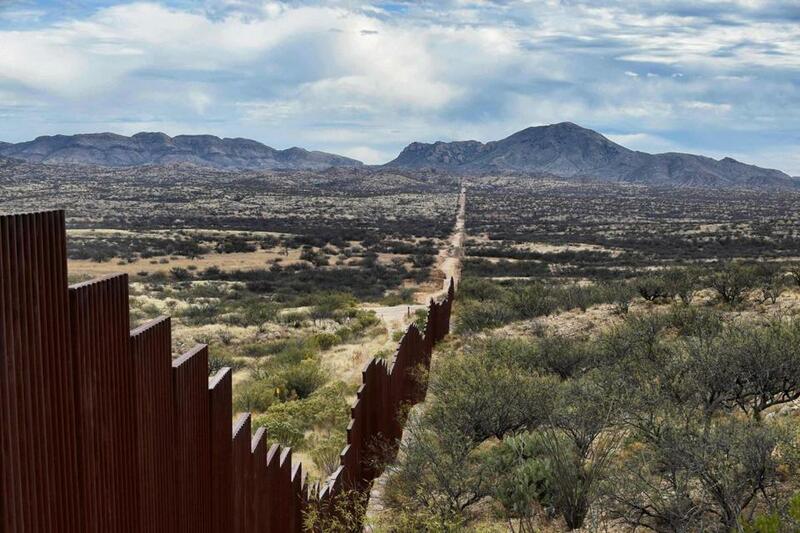 Fresh out of college, where he studied border issues and policy, Francisco Cantú joined the Border Patrol searching for the reality of what he’d researched. Cantú divides his book into two parts. The first chronicles his four years as an agent along the US-Mexico border, the brutal and beautiful zone that so exquisitely reflects the nature of the neighbors who share it. Cantú’s time in the field is filled with stories of migrants lost and gratefully found. At one checkpoint he encounters two sisters — nine and ten years old — shell-shocked after being escorted through the desert by “friends.” The pair are clearly afraid of the uniformed men and ask to call their mother in California. An overweight teen is found lost and hysterical on the desert floor. His goal? Getting to Oregon to sell heroin. Many of those he catches seek a better life. He finds a man and his pregnant wife in an abandoned church sleeping under a picture of the Virgin of Guadalupe. They’d been lost for days with nothing to drink but filthy water from cattle trucks. There are signs everywhere of cynical coyotes and sinister dope traffickers. Cantú’s writing is spare, graceful, and full of the details that propel a good story. Cantú interrupts occasionally to bring in the perspective of academics to illuminate his experience. These interludes often feel unnatural, interrupting a gripping human tale. His life on the line has made him the kind of expert we need to hear from. Eventually the most brutal aspects of the job take a toll. Bedeviled by nightmares of wolves and body parts, Cantú quits the agency and works at an outdoor café. Cantú becomes close friends with a co-worker named Jose, whose story makes up the second half of the book. Originally from Oaxaca, Jose is an illegal immigrant who has been in the United States for decades. When his mother becomes seriously ill, he leaves his wife and three young sons in the states and returns to Oaxaca to see her. He is caught crossing back. Grinding legal machinations ensue that leave the family separated first by jail walls, then, after Jose is deported, the border itself. “[I]t’s difficult to see a man’s life torn apart,” says one defense attorney. Indeed, it is lacerating. But there are two countries implicated; only one is a country whose people routinely risk death to leave. And we don’t get to actually see much about what drove them. Until, that is, Cantú visits Jose in a Mexican border town, where he is making plans to cross yet again. A poor man, Jose knows from experience the crucial beauty of order and following the law, even as he tries to break it. Now in Mexico, he describes a land of narcos as the de facto government — the final expression of the corruption that has indelibly marked the country since long before its independence. Cantú fears that his years of sending people back have irreparably brutalized him. Yet he ought also to see — and perhaps he does, through José — that the border is also an insistence on the precious rule of law. Jose tells of his job at a Chipotle in America, where through hard work he rose from cashier to main chef, and got to know cops who greeted him by name when they came for lunch and stood to meet Jose’s young son one day. An impossible scene in Mexico. Jose knows it. He could never, he says, bring his sons to live in Mexico. In Mexico, the wealthy jealously guard their advantage and stifle others’ access to opportunity — cut in line, in other words, in a million ways big and small. Every Mexican migrant who illegally crosses the desert line that Cantú was hired to enforce is essentially performing that same act. Each feels forced into it by those connected to power back home who’ve done it in other ways with impunity. Meanwhile, Jose notes, some of those trying hardest to break the law by crossing illegally possess the most ardent family values, trying relentlessly to return to be with their loved ones. For, finally, love of family rightly overrides everything. The United States, he says, is turning these folks into criminals, and Jose is one of them. That’s Jose’s story, anyway. The border has many others.